Nope, no progress on my poor sorbetto blouse. She’s sitting in the corner, jealous that I’m spending so much time with some cotton weaving yarn. 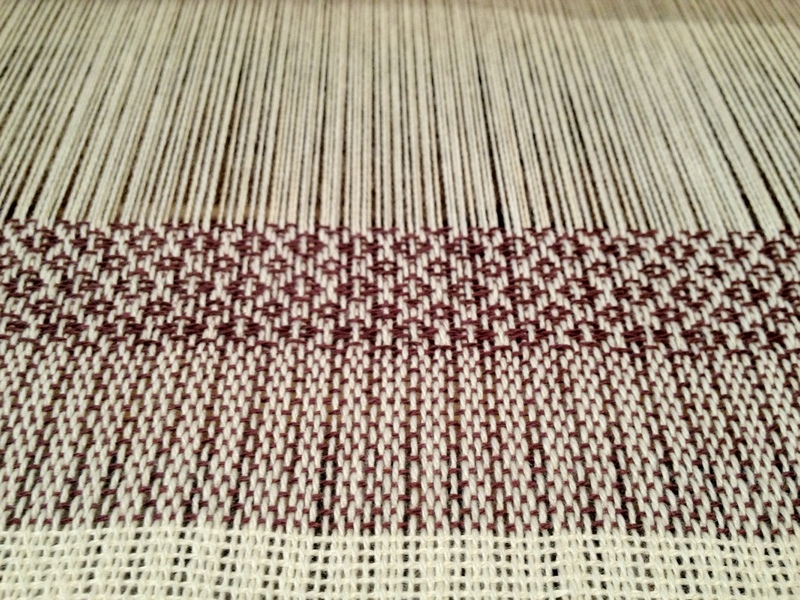 I started winding the warp for my newest weaving project on Friday. 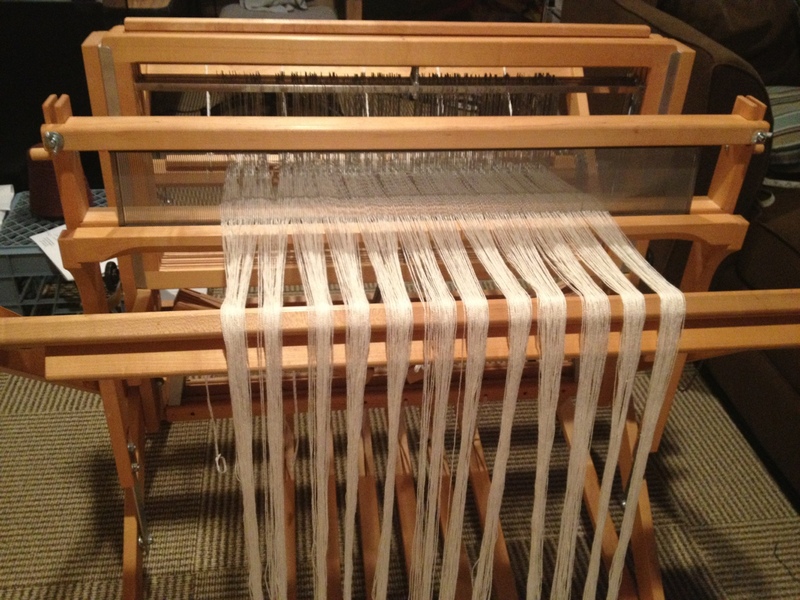 I worked pretty steadily on it, finally getting the warp wound on the loom last night. (hopefully with practice I’ll get faster at this!). The tension need some adjusting. After some fiddling, I started on my first towel! I’ll be working on this for a while. The warp is 9 yards and will make 7 towels. Each will be a slightly different pattern based on the order of treadling. Someday that neglected sorbetto blouse will get finished!